1) The Magic of Disney Animation– This is an interactive drawing class led by a Disney artist. Guests learn step-by-step instructions on how to draw a Disney character. You never know which character you will draw, so it is fun to do the class each time you visit WDW. The class takes 30 minutes and you get to take home your art. This is located in Hollywood Studios. 2) Living With the Land– A relaxing 13-minute boat ride that takes you on an informative journey through a tropical rain forest, a desert complete with sandstorm, and the plains of a small farm. Guests learn about Hydroponics, Aeroponics and Aquaculture. You see many plants with unusual fruits and veggies, and fish farms are also on display. The educational part of this boat ride is geared towards adults, but younger guests will love it also and enjoy spotting the different fruits and vegetables. 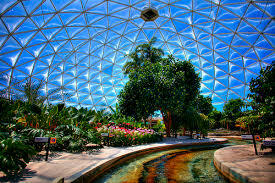 This is located in Future World at Epcot. 3) One Man’s Dream– This is a tribute to the “Man behind the Magic”. It is a self-guided walking tour that will take you through a series of exhibits including: scaled replicas, photographs, audio interviews and memorabilia that tell the story of Walt Disney. 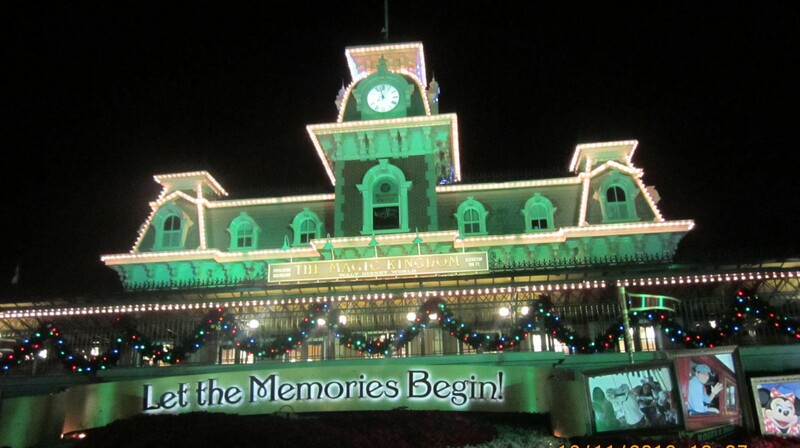 There are over 400 artifacts on display such as models of Main Street U.S.A. from Disneyland, scaled replicas of Sleeping Beauty’s Castle from Disneyland, scaled models of Animal Kingdom and others. There is a re-creation of Walt’s old office, his 2nd grade desk, and even an Academy Award from Snow White and the Seven Dwarfs on display. This is located in Hollywood Studios. 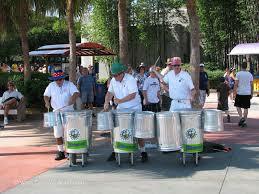 4)Outdoor entertainment at Epcot- There are a wide variety of performers that are located mostly in World Showcase, with The Jammin’ Jammitors being the exception (they perform a percussion show that is not to be missed in Future World). Each country hosts different acts that perform on a schedule that can be picked up at the park entrance. Just a couple of examples are: Mariachi Cobre at the Mexico Pavilion, the Canadian Lumberjacks at the Canada Pavilion, andThe British Revolution at the United Kingdom Pavilion which are all three band performances.) There are also many other types of entertainment such as Serveur Amusant at the France Pavilion (a very skilled performer balances on chairs stacked seemingly into the clouds. Just kidding, but he does go pretty high! ), Taiko Drummers at the Japan Pavilion, Sergio the juggler at the Italy Pavilion, and many more. 5)Flights of Wonder– Several times a day in the Asian area at Animal Kingdom, the Flights of Wonder are performed. 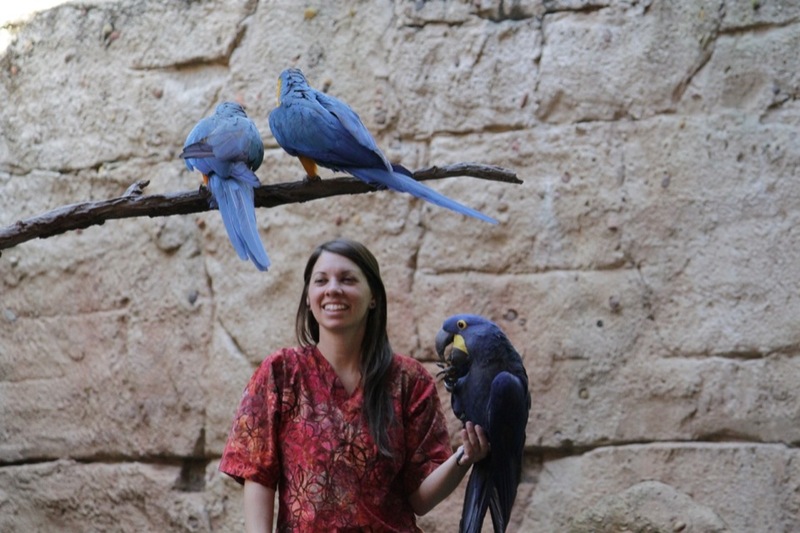 The shows are about 25 minutes long and feature over 20 species of exotic birds, including Harris hawks, Barbary falcons, macaws, ibis and yellow-naped Amazon parrots. The show features free-flying birds performing stunts with the trainers auditory cues to guide them. There is also some comedy thrown in that makes the show even better. Perdita: My favorite spot in Magic Kingdom, and maybe all of Disney World is “The Enchanted Forest ” in New Fantasyland beside Gaston’s Tavern. This is one area that is usually peaceful and beautiful in the daytime and even prettier at night with the lights on. It is particularly “enchanting” at Christmas when the decorations are up. As a frequent visitor, I regularly seek out a peaceful spot to sit and rest, and this is one of the few places I have found. A favorite routine of ours is to get a Lefou’s Brew in Gaston’s and take it outside to sit and drink. The trees in the enchanted forest are different than any I have seen and the fountain in front of Gaston’s adds a peaceful sound that further enhances the experience. Roly: My favorite area in the Magic Kingdom is, like my mother, Perdita, the area outside Gaston’s tavern, but for different reasons. The area has the best looking medieval style houses. The tavern has a treat even better than the famous Dole Whip. The Lefou’s brew is what I am talking about, since it has the tasty apple slush, topped with froth. It is good to sit and drink, while listening to the riders of the Seven Dwarfs Mine Train scream nearby. The fountain, with it’s funny plaque, is perfect for the spot, right in front of the tavern. The inside of the tavern is lined with animal heads, and hunting guns, and has two sitting rooms: one with a huge circular table under a chandelier of antlers, a fireplace, and Gaston’s own chair, the other, smaller with a few chairs. There is a giftshop, mini-forest, and great views of Eric’s and Beast’s castles, too. This makes for a nice, and surprisingly uncrowded place to sit. Pongo: My favorite location in the Magic Kingdom is the center of Tomorrowland near the Tomorrowland Transit Authority, especially at nighttime. I love the lights, the metallic facade, and the peaceful “space-age” music. It takes me back to childhood notions of space and the future: Star Trek, The Jetsons, and Marvin Martian with his Illudium Q-36 explosive space modulator. Nearby, Mickey’s voice repeats on a circuit from the Tomorrowland Transit Authority, saying “It’s out of this world!” I wholeheartedly agree. What is your favorite spot? Today, my money saving tip for travel to Disney World concerns a strategy for one aspect of a Disney vacation; travel to the parks. We live too far to drive without an overnight stop-over; so, we started flying. We live in a city that offers a direct flight to Orlando aboard Southwest Airlines. Recently, I opened a Southwest Rewards credit card that offered 50,000 miles if you spend $2,000 in the first three months. Miles can be redeemed for future flights, and, for us, 50,000 miles translates into about 4-5 round-trip tickets. You can also shop through the Southwest shopping portal and earn points which translate into miles. This strategy, with Southwest, may not work depending on where you live, but, all airlines offer credit card reward offers. There are other cards that offer points as well. This is one area where I have done a lot of research, and I use it for our family. In upcoming “Money Saving Tip” posts, I will give the scoop on another way to amp up savings even more with Southwest Airlines, as well as a few of the best offers I have found.